1. Krishna Reddy G 2014 “Introduction to Agronomy and Principles of crop production” Chapter No.12, Cropping system Kalyani Publication P.No:220-240,2014. 2. Sudhakar P, K. Vijay Krishna Kumar, P. Latha, V. Sai Sruthi, K. Sujatha, BV.Bhaskara Reddy, B.Ravindra Reddy, K.Rajareddy, T.Giridhara Krishna, MS Reddy (2014) chapter twenty-one efficacy of pseudomonas fluorescens strains in enhancing drought tolerance and yield in peanuts Recent Advances in Biofertilizers and Biofungicides. Cambridge Scholars Publishing. 3. 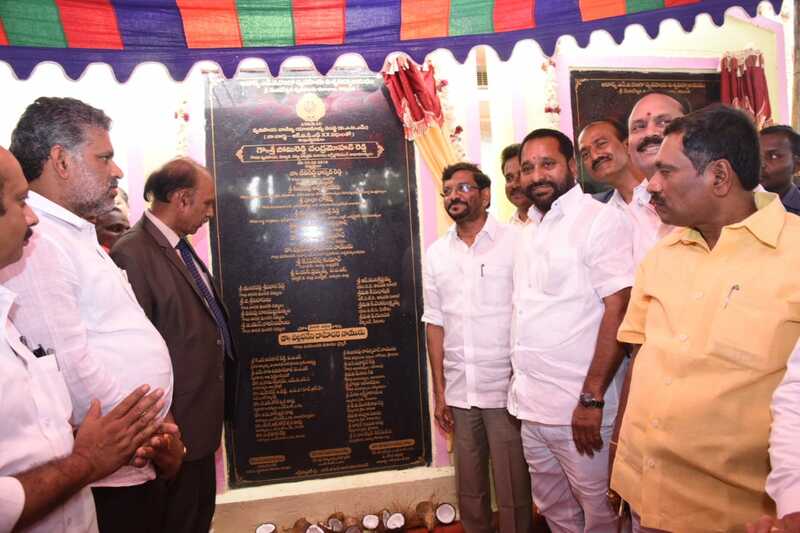 Sudhakar P, K. Vijay Krishna Kumar, P. Latha, V. Sai Sruthi, K. Sujatha, B.V. Bhaskara Reddy, B.Ravindra Reddy, K.Rajareddy,T.Giridhara Krishna, M.S. Reddy (2014) Chapter Twenty-Nine ‘Efficacy Of Pseudomonas Fluorescens Strains in Enhancing Growth and Yield of Peanut Recent Advances in Biofertilizers and Biofungicides‘. Cambridge Scholars Publishing.PP331. 1. Amaravathi Y, R.P. Vasanthi E. Siva Kumar, M .Purushottam and T .Giridhara Krishna 2014 DNA fingerprinting of groundnut ( Arachis hypogaea L )varieties of tirupati using SSR markers Electronic journal of plant breeding 5(4): 677-687. 9. Hemalatha .T.M, Hemanth kumar. M , Afsar S Bhaskar reddy BV and Subbarao M. 2014. Molecular Detection of Sugarcane Yellow Leaf virus in popularly grown Sugarcane Varieties in Andhra Pradesh and characterization of the virus from the Sugarcane variety 2003V46" Journal of Mycology and Plant pathology. 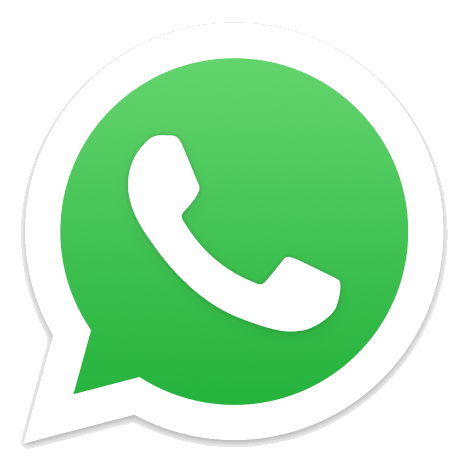 44(4) pp: 442-446. 10. Hemalatha T.M, Hemanth kumar. M , Afsar.S Bhaskar reddy BV and Subbarao M. 2015. Molecular evidence for incidence of sugarcane yellow leaf disease in commercially grown sugarcane varieties in southern zone of Andhra Pradesh. Asian academic research journal of multidisciplinary. 1 (29): 308-314. 13. Hemanthkumar M, Umamaheswari .A, Sivakrishna .V and Sudheerkumar K. 2015. Protein network analysis to identify common drug targets against bacterial leaf blight and bacterial leaf streak pathogens of rice. Proc. Of National conference on Emerging Trends in Agrinanotechnology (AgriNano-2015). SAOP12. Pp:126. 15. John K, P.Raghava Reddy (2014). Variability, heritability and genetic advances for water use efficiency traits in groundnut (Arachis hypogaea L.) International Journal of Current Research 13: E 1-5. 17. John K, P.Raghava Reddy (2015). Heterosis and inbreeding depression for yield and yield attributes in groundnut (Arachis hypogaea L.). International Journal of Current Research in Biosciences and Plant Biology. Accepted (ISSN :2349-8080). 18. John K, P.Raghava Reddy, K.Hariprasad Reddy, P.Sudhakar and N.P.Eswar Reddy (2014). Studies on heterosis and inbreeding depression for yield and physiological traits in groundnut (Arachis hypoaea L.). Legume Research Journal. Volume 37 (2) : 117-125. 19. John K, P.Raghava Reddy, K.Hariprasad Reddy, P.Sudhakar and N.P.Eswar Reddy (2014). Combining ability studies to indentify crosses and good combiners for developing new genotypes for yield and water use efficiency traits in groundnut (Arachis hypogaea L.). Legume Research Journal. Volume 37 (3) :235- 244. 20. John K,P.Raghava Reddy (2015). Genetic analysis of oil and protein contents in groundnut (Arachis hypogaea L.). International Journal of Current Research in Biosciences and Plant Biology, Volume 2 (5): 56-68. 21. Krishna Reddy G, A.Muneendra babu, P.Maheswara Reddy and T.Giridhara Krishna, 2014, Growth and pod yield of Groundnut as influenced by cultivars and times of sowing under irrigated conditions during early kharif, The Andhra Agricultural Journal, 61(4):744-747. 22. Krishna Reddy G, P.Maheswara Reddy, P.Lavanya Kumari and T.Giridhara Krishna, 2015, Response of pigeon pea varieties to time of sowing during rabi season, IOSR Journal of Agriculture and Veterinary Science (IOSR-JAVS), Vol.8, Issue 2 Ver.II(Feb,2015) pp12-15. 23. Krishnaveni. S, Manjula.K, and Muralikrishna.T. 2015. Positive influence of intercrops on coccinellid and spider fauna in groundnut. Andhra Pradesh Journal of Agricultural Sciences. 1(1):39-42. 24. Lavanya Kumari P. (May 2015). Computational Support to Optimum Cropping Pattern using MS-Excel, IJISET - International Journal of Innovative Science, Engineering & Technology, Vol. 2 Issue 5. 25. Lavanya Kumari.P & Anupama.G (2014) .A Study on Ethical Dilemmas of Managers at Workplace, Journal of Strategic Human Resource Management, ISSN.2277-2138, volume 3 Issue 3 October 2014. 26. Lavanya Kumari.P (Dec 2014). Regression Diagnosis for the Yield estimation in Agriculture, International Journal Computing Technologies(JCT), (2278 – 3814) / # 16 / Volume 3 Issue 12 www.jctjournals.com/. 31. Muthamil Selvan1 M, K Rangaswamy 2, C Ramana 3 and G Senthil Kumar4 Development of power-tiller mounted cotton picker for selective picking with women operators -Indian Journal of Agricultural Sciences 84 (10): 1267–73, October 2014/Article. 33. Pavana Jyotsna K, A. Rama Krishna Rao, K. Devaki, T. Murali Krishna, P.B. Srividya and K. Suma. 2014 Isolation and Characterization of Cellulase Producing Streptomyces albaduncus from Gut of Eisenia Foetida. International Journal of Scientific & Engineering Research, Vol. 5 (12), December-2014. 34. Pavana Jyotsna, K and Ramakrishna Rao, A. 2015. Effect of nutritional and environmental factors on cellulase production by Streptomyces albaduncus from the gut of Earthworm, Eisenia foetida. International Journal of Current Research. Vol. 7(6). pp. 16776 – 16782. 35. Pavana Jyotsna, K. and Ramakrishna Rao, A. 2015. Effect of environmental factors on cellulase production by Lyscinibacillus sphaericus from the gut of Earthworm, Eisenia foetida. International Journal of Current Agricultural Research Vol. 4, (6), pp. 127- 130. 36. Prasad T.N.V.K.V Agri-nanotechnology: A conceptual revolution in agriculture and allied sciences. Agrotechnol, 2014, 2(4), 79. 37. Prasad T.N.V.K.V GD Prameela, M.Nagalakshmi Devamma, Evalution of the effect of indigenous mycogenic silver nanoparticles on soil exo enzymes in barite mine contaminated soils. Applied Nanoscience, 2014,DOI 10.1007/s13204-014-0343-0. 38. Prasad T.N.V.K.V, E.Parvathi, K.Venkaiah, V.Munaswamy, M.V.S.Naidu, T.Giridhara Krishna Long term effects of manure and fertilizers on nutrient uptake of groundnut in rainfed alfisols., Thai Journal of Agricultural Sciences (Accepted, 2014). 39. Prasad T.N.V.K.V, K.S.Sindhura, P.Panneerselvam, O.M.Hussain, Green synthesis of zinc nanoparticles from Senna auriculata and influence on peanut Pot-culture., International Journal of Research in Agricultural Sciences, 2015, 2, 61-67. 40. Prasad T.N.V.K.V, K.S.Sindhura, P.Panneerselvam, O.Md.Hussain, Biogenic synthesis of zinc nanoparticles from Thevetia peruviana and influence on soil exo- enzyme activity and growth of peanut plants. International Journal of Applied and Pure Science and Agricultural Science, 2015, 1, 19-32. 41. Prasad T.N.V.K.V, M.Deepa, P.Sudhakar, K.V.Nagamadhuri, K.Balakrishna Reddy, T.Giridhara Krishna, first evidence on phloem transport of nanoscale calcium oxide in groundnut using solution culture technique., Applied Nanoscience, 2014, DOI 10.1007/s13204- 014-0348-8. 42. Prasad T.N.V.K.V, N.Supraja, N.Garud, Prabha Shetty, Synthesis, characterization and antimicrobial activity of Alstonia scholoris bark extract mediated silver nanoparticles., Journal of Nanostructure in Chemistry, 2014, DOI:10.1007/s40097-014-0132-z. 43. Prasad T.N.V.K.V, A.Sasikala, M.Linga Rao, N.Savithramma, Synthesis of silver nanoparticles from stem bark of Cochlospermum religiosum (L.) Alston: an important medicinal plant and evaluation of their antimicrobial efficacy., Applied Nanoscience, 2014, DOI: 10.1007/s13204-014-0380-8. 44. Prasad T.N.V.K.V, N.Supraja, E.David, Synthesis, characterization and antimicrobial activity of the micro/nano-structured biogenic silver doped calcium phosphate., Applied Nanoscience, 2014, (Accepted). 45. Prasad T.N.V.K.V, N.Supraja, Temperature dependent extracellular synthesis and characterization of nanoscale calcium pyrophosphate crystals using marine thermophilic bacteria., Synthesis and Reactivity in Inorganic, Metal-Organic, and Nano-Metal Chemistry (Accepted, 2014). 46. Prasad T.N.V.K.V, T.Giridharakrishna, E.David, N.Supraja Synthesis, characterization and evaluation of the antimicrobial efficacy of Boswellia ovalifoliolata stem bark extract mediated zinc oxide nanoparticles., Applied Nanoscience, 2015, DOI:10.1007/s13204-015-0472-0. 47. Prasad T.N.V.K.V, T.Kiran Reddy, S.Janardana Reddy Studies on combined effect of aeromonos hydrophila and cadmium on lipid per oxidation and Antioxidant status in selected tissues of Indian fresh water major carp, catla catla: role of silver nanoparticles., IOSR Journal of Pharmacy, 2014, 4(10),1-7. 48. Prasad T.N.V.K.V, V.S.Kotakadi, S.A.Gaddam,S.K.Venkata, D.V.R.Saigopal Ficus fruit mediated biosynthesis of silver nanoparticles and their antibacterial activity against antibiotic resistant E.coli strains. Current Nanoscience, 2015, 11(4), 527-538. 51. Praveen K, Hemanthkumar M, Umamaheswari A, Reddy DM, Sudhakar P, Munikumar M, Pradhan D, and Sabitha N. 2015. SGDB – A sugarcane germplasm database. Sugar Tech 17 (2): 150-155. 52. Praveen K, M Hemanth Kumar, D M Reddy, P Sudhakar, K. Hariprasad Reddy and K. Sujata. 2015. Screening Sugarcane Accessions for Water Use Efficiency and Heat tolerance. Proc of ISPP south zonal seminar on Crop physiology – Emerging challenges and opportunities for sustainable agriculture. Pp:108. 57. Rama Krishna Rao. A , K.Devaki and T.V.S.Rajini Kumari. 2015. Effect of microbial pesticides against the larvae of citrus leaf miner, Phyllocnistis citella Stainton in Citrus Nursery. Andhra Pradesh Journal of Agril.Sci. 1(1): 27-29. 58. Rama Krishna Rao. A 2015. Effect of different insecticides in the control of mango nut weevil (Sternochaetus mangifera F.). Asian Journal of BioScience. Vol.10 (1).pp. 116-18. 60. Rama Krishna Rao. A, K.Devaki and P.Koteswara Rao. 2015. Evaluation of certain natural products against larvae of citrus butterfly Papilio demoleus Lin. Andhra Pradesh Journal of Agril.Sci. 1(1): 30-32. 61. Rama Krishna Rao. A, T. V. S. Rajanikumari, K. Devaki and G. Sarada. 2014. extent of parasitisation of Citrus butterfly, Papilio demoleus (Linnaeus) (Lepidoptera: Papilionidae) in sweet orange (Citrus sinensis Swingle) and acid lime (Citrus aurantifolia) Swingle. Pest Management in Horticultural Ecosystems. Vol. 20, (2) pp 123-126. 63. Ramakrishna Rao A, T. V. S. Rajanikumari, K. Devaki and G. Sarada. 2014. Evaluation of plant products against Citrus leaf miner, Phyllocnistis citrella Stainton. Pest Management in Horticultural Ecosystems. Vol. 20, (2) pp 234-235. 64. Ramakrishna Rao A, T.Muralikrishna, K.John, P.Devaki, P.Rajendra Prasad (2015). Influence of morphological traits on resistance of groundnut genotypes for thrips. African Journal of Agricultural Research, Volume 10 (4):250-263. 65. Ramakrishna Rao A, T.Muralikrishna, K.John, P.Sudhakar, P.Devaki, P.Rajendra Prasad (2015). Biochemical basis of resistance to thrips in groundnut. Current Biotica, Volume 8 (4) :382-394. 71. Ravindra Reddy B,V Munasway, C Ramana, P Sumathi and A Prashanthi: Impact Analysis of Andhra Pradesh Water Management Project on Livelihood of Farmers in Pilot Area of Musilipedu Southern zone of Andhra Pradesh, The Andhra Agril. J61(3):652-657, 2014. 73. Reddi Kumar M., M.V.Madhavi Santhoshi, T.Giridhara Krishna and K.Raja Reddy (2014). Cultural and Morphological Variability Sclerotium rolfsii isolates infecting Groundnut and its reaction to some fungicidal. International Journal of Current Microbiology and Applied Sciences” 3 : (10) pp:553-561. 74. Reddi Kumar M., P.Sudhakar, S.Uday Krishna, M.V.Madhavi Santhoshi, P.Latha, and T.Giridhara Krishna. 2013. Quantitative Estimation of Aflatoxins Produced by Aspergillus flavus in Maize by High Performance Liquid Chromatography accepted for publication in Indian Journal of Plant Protection. 75. Sabitha N, Hemanth Kumar M and Subba Rao M. 2014. Germplasm maintenance and its role in the varietal improvement of sugarcane (Saccharum spp.). Proc. of National Seminar on Recent advances and challenges in sugarcane research held at Mysore. Pp: 22. 76. Sabitha N, Hemanthkumar M, Subbarao M, Sarala NV, Vajantha B, and Hemalatha TM. 2015. Evaluation of the early clones for cane yield and juice quality parameters in plant and ratoon crops of southern zone, AP. Proc. Of National conference on Emerging Trends in Agrinanotechnology (AgriNano-2015). SAOP9. Pp:123. 77. Sabitha N, M.Hemanthkumar and M.Subba Rao. 2015. Promising Sugarcane Clones for High Water Use Efficiency and thermo tolerance. Proc of ISPP south zonal seminar on Crop physiology – Emerging challenges and opportunities for sustainable agriculture. Pp: 108. 79. Sarala NV, Subba Rao M, Hemanth kumar M and Nagamadhuri KV. 2014. Response of sugarcane to plant geometry and irrigation methods in southern agro-climatic zone of Andhra Pradesh. Journal of Sugarcane Research 4 (1): 86-90. 80. Sarala NV, Subba rao M, Hemanth kumar M, Pratima M, Nagamadhuri KV and Giridhar V. 2015. Effect of variety and different dates of planting on yield and quality of sugarcane. Proc of ISPP south zonal seminar on Crop physiology – Emerging challenges and opportunities for sustainable agriculture. Pp: 72. 81. Shanthi priya M, Reddy KHP, Hemanth Kumar M, Raja Rajeswari V, and Mohan Naidu G. 2015. Association studies in sugarcane. Proc of ISPP south zonal seminar on Crop physiology – Emerging challenges and opportunities for sustainable agriculture. Pp: 137. 82. Shanthi Priya M, Reddy KHP, Hemanth Kumar M, Rajeswari V, Mohan Naidu G, Narasimhulu R, Rupesh Kumar Reddy B and Mohan Reddy D. 2014. Selection indices for CCS yield in Sugarcane (Saccharum spp). Proc. of National Seminar on Recent advances and challenges in sugarcane research held at Mysore. Pp: 11-14. 83. Shanthi Priya M, Reddy KHP, HemanthKumar M, Rajarajeswari V and Mohan Naidu G. 2015. Variability and heritability studies for cane yield and quality traits in sugarcane (Saccharum spp.). Bioinfolet. 12 (2A): 436-439. 84. Shanthi Priya M, Reddy KHP, HemanthKumar M, Rajarajeswari V, Mohan Naidu G, Narasimhulu R and Rupesh Kumar Reddy B. 2015. Genetic diversity and character association among sugarcane (Saccharum spp.) clones. Bioinfolet. 12 (2B): 444-451. 85. Sharath Kumar Reddy Y and K.V. Naga Madhuri 2014 Impact of delayed crush on post harvest deterioration of promising early maturing sugarcane clones The Bioscan 9(2): 519-523. 86. 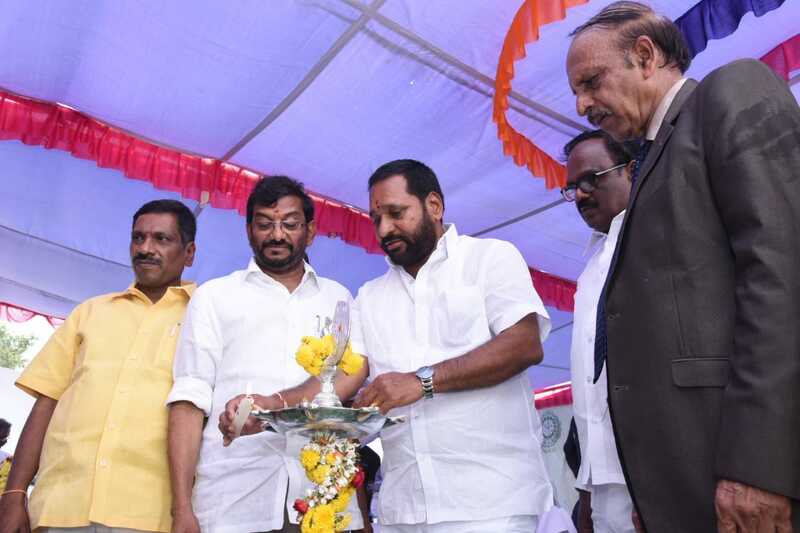 Sharath Kumar Reddy Y, P Sudhakar , G.E Reddy, B.N. Reddy and K.V. Naga Madhuri 2015 Deterioration of sugarcane due to delayed harvest and crush- A review Progressive Research 10 (2):97-102. 87. Sharath Kumar Reddy Y, K.V. Naga Madhuri, V. Raja Rajeswari, P Sudhakar 2014 Evalauation of different morpho-physiological traits of pre release early sugarcane clones International Journal of Applied Biology and Pharmaceutical Technology 5(3): 233-238. 88. Sharath Kumar Reddy Y, K.V. Naga Madhuri, V. Raja Rajeswari, P Sudhaka 2014 Effect of delayed harvest on yield and juice quality of early maturing sugarcane clones The Andhra Agricultural Journal 61(2):382-388. 92. Supraja N, T.N.V.K.V.Prasad, T.Giridhara Krishna, E.David, Effect of citrate coated silver nanoparticles on biofilm degradation in drinking water PVC pipe lines., Advances in Nano Research, 2015, 3(2), 97-109. 93. Teja P, RP Vasanthi, D mohan Reddy and P Sudhakar 2014 Influence of dates of sowing on genetic parameters for yield and its contributing characters in groundnut The Andhra Agric.J.61(1)74-78traits and foliar disease resistance traits in groundnut [Arachis hypogaea (l.)]. Indian Journal of using MS-Excel, IJISET - International Journal of Innovative Science, Engineering & Technology, Vol. 2 Issue 5. 94. V.R.M. Reddy P, K.Venkaiah, T.Giridhara Krishna and Y. Pavan kumar Reddy, 2014 Soil fertility mapping in Panyam Mandal of Kurnool district by geographic information system, Green farming Vol.5 No.4, 627-630. 96. Vajantha B, Sarala NV, Hemanthkumar M and Subbarao M. 2015. Soil fertility status, yield, quality of sugarcane and jaggery as influenced by organic manures and inorganic fertilizers. Proc. Of National conference on Emerging Trends in Agrinanotechnology (AgriNano-2015). SAOP10. Pp :124. 97. Vajantha B, Subbarao M, Nagamadhuri KV, Hemanthkumar M and Sarala NV. 2014. STCR approach for optimizing yield, quality and economics in sugarcane. Current Biotica. 8(3): 309-312. 98. Vajantha B, Subbarao M, Sabitha N and Hemanth Kumar M. 2014. Evaluation of promising sugarcane clones for yield and quality of jaggery in southern zone of Andhra Pradesh. Proc. of Jaggery: Evolution to revolution –National meet on modernization of Jaggery industry in India held at IISR Lucknow. Pp: 142. 99. Vasanthi RP, BV Bhaskar Reddy, M Purushotham and E Sivakumar (2014) Validation of SSR markers associated with late leaf spot and rust resistance in breeding lines in Groundnut in BIOINFOLET 11 (2A): 402-407. 102. Vasanthi RP, Suneetha N and P.Sudhakar 2013 Genetic diversity based on physiological attributes among released and pre released cultures of groundnut. Legume Research. Accepted. 106. Venkata Ramana,E,.Vasanthi,R.P, Hariprasad Reddy,K, and Bhaskara Reddy,B.V and B.Ravindra Reddy (2015) studies on genetic variability for yield , yield components and resistance to kalahasti malady in groundnut. International Journal of Applied Biology and Pharmaceutical Technology 6:72-74. 108. Vijaya Kumar Naik, Bhaskara Reddy, B.V, Sailajarani ,S, Sarada Jayalaxmi, R , Prasanthi,L, Shareef S.M, (2015) . phytoplasma disease associated with cleome viscose and Borreria hispida weeds in Andhra Pradesh, India.Journal of Plant Development Sciences 7(1):335-336. 109. Vishnuvardhan KM, RP Vasanthi, K Reddy, BVB Reddy (2014) Diallel analysis for yield, yield traits and foliar disease resistance traits in groundnut [Arachis hypogaea (l.)]. Indian Journal of Agricultural Research 48 (2), 113-119. 1. Latha P and P.Sudhakar. Drought Mitigation Strategies for Sustainable Yields In Rainfed Agriculture. ISPP South Zonal seminar on Crop Physiology “Emerging Challenges and Opportunities for Sustainable Agriculture” at SV Agricultural College, Tirupati, 3rd March, 2015 Page no.92 -95. 2. P.Lavanya Kumari, Significance of Statistics in Research using SPSS’ at National ‘National workshop on ‘Software based statistical Analysis using MS-Excel & SPSS’ during 8th -14th September, 2014 at Sri Padmavathi Degree & PG College, Tirumala Tirupati Devastanams, Tirupati. 1. Vasanthi R.P,Y. Amaravathi,P. Sudhakar,P. Latha , E.Siva kumar,P.Jhansi Rani,M. Purushotham , G.Kiran Jyothi and T.Giridharakrishna (2015) Identificationand pyramiding of genes for drought resistance ,yield and yieldattributes in advanced breeding lines of groundnut1stNational Conference on Agronanotechnology11-12, March,2015. 2. Lavanya Kumari.P, G.Krishana Reddy and T.Giridhara Krishana(2014)Optimum cropping pattern for Vegetable Crops under uncertain profit using Fuzzy Multiobjective Linear Programming’ at International Conference on Operational Research: OR for Big Data & Analytics, during 1-3 December 2014, organized by ORSI-Tirupati Chapter, & Dept. of Statistics, SVU, Tirupati. 3. Anupma.G ,P.Lavanya Kumari and K.Giridhar Reddy2015. ‘Fostering Innovation at work-Managers Approach’ at 2nd International Conference on Innovative Management Strategies on 6-7th March 2015 organized by MITS at Tirupati. 1. Dr.TNVKV Prasad (Organizing secretary),Dr.P.Sudhakar(Joint organizing secretary), National conference on “Emerging trends in Agrinanotechnology” (AgriNANO – 2015) during 11-12 March 2015, at Institute of Frontier Technology, RARS, Tirupati. 2. Dr.P.Sudhakar(Co-convenor),Dr.P.Latha(Joint organizing secretary), ISPP South Zonal seminar on Crop Physiology - “Emerging Challenges and Opportunities for Sustainable Agriculture” during 3rd March, 2015, SV Agricultural College, Tirupati. 3. Dr.P.Lavanya Kumari(Joint organizing secretary & treasurer), International Conference on Operational Research: OR for Big Data & Analytics during 01-03 December 2014 at Dept. of Statistics, SVU, Tirupati. 1. Adam S, Murthy SDS, Fareeda G, Prasad TNVKV (2015), Inhibition of photosynthetic electron transport activities in maize(Zea mays) seedlings by treatment with toxic Concentrations of Zinc, National conference on Emerging trends in Agri- nanotechnology(Agri Nano-2015) during 11-12 March 2015, Regional agricultural Research station, Tirupati. 2. Alpha Raj M Muralidar Y, Sravani Mannem, shoba P, Sirisha P, T.N.V.K.V.Prasad, Adilaxamamma K, Anad kumar P (2014), Phytochemical mediated nanosilver has potent antimicrobial activity against Pglo plasmid Transformed beta-lactamase resistant Escherichia coli HB 101 K-12, International conference on frontiers in nano science, technology and applications 20-22 December, Dept of physics sri satya sai institute of higher learning, Prasanthi nilayam. 3. Alpharaj M, Muralidhar Y,Sravanthi Mannem,Shoba T,Sirisha P, PRASAD TNVKV. (2015), Combating bacterial resistance-pGlo plasmid transformed Escherichia col iHB101 K12 A novel Model for Screening Against β-lactamase resistance, National conference on Emerging trends in Agri- nanotechnology(Agri Nano-2015) during 11-12 March 2015, Regional agricultural Research station, Tirupati. 4. Amaravathi Y, N.K.Poojitha,P.Jhansi Rani, R.P.Vasanthi, B.V.Bhaskar Reddy, Reddi Kumar and T.Giridhara Krishna (2015)Mass multiplication of Sclerotium rolfsii for development sick plots to screen groundnut germplasm.1stNational Conference on Agronanotechnology11-12,March,2015. 5. Amaravathi Y, P.Jhansi Rani, E. Siva Kumar, N.K. Poojitha R.P. Vasanthi and T. Giridhara Krishna(2015)Parental lines screening for identification of stem rot resistance genes in groundnut (Arachis hypogea L.) using SSR marker1stNational Conference on Agronanotechnology11-12, March,2015. 7. Anil Kumar C, Alpha Raj M, Naik BR, Devasena B, PRASADTNVKV (2015), Assessment of lead and other heavy metals exposure through the consumption of chicken meat in and around Proddatur region of Andhra Pradesh, National conference on Emerging trends in Agri- nanotechnology(Agri Nano-2015) during 11-12 March 2015, Regional agricultural Research station, Tirupati. 8. Aparna reddy N, Eswara Prasad P , Padmaja K, Adilaxamma K, Alpha raj M. PRASAD TNVKV (2015), Comparative evaluation of wound healing properties of nanosilver and phytogenic nanosilver in wistar rats, National conference on Emerging trends in Agri- nanotechnology(Agri Nano-2015) during 11-12 March 2015, Regional agricultural Research station, Tirupati. 9. Bhaskar B, Khayum Ahammed S, Sarada jayalakshmi Devi R, Prasad TNVKV (2015), Fungicidal action of the mycogenic silver nanoparticles against Aspergillus inciting collar rot disease in ground nut (Arachis hypogea), National conference on Emerging trends in Agri- nanotechnology(Agri Nano-2015) during 11-12 March 2015, Regional agricultural Research station, Tirupati. 10. Chandrasekhar Y, Khayum Ahammed S, Sarada jayalakshmi Devi R, PRASAD TNVKV, Sunil Kumar Y, Ranga Rani A, Shaheda Nasreen S (2015), Nanoparticles as smart treatment-delivery systems in plants, National conference on Emerging trends in Agri- nanotechnology(Agri Nano-2015) during 11-12 March 2015, Regional agricultural Research station, Tirupati. 11. Chandrayudu E, T Murali Krishna, M John Sudheer, P Sudhakar and K Vemana. Evaluation of certain botanicals and bio-pesticidesagainst tobacco caterpillar, spodoptera litura fab. in rabi groundnut. ISPP South Zonal seminar on Crop Physiology - “Emerging Challenges and Opportunities for Sustainable Agriculture” at SV Agricultural College, Tirupati, 3rd March, 2015. Pageno.243. 12. 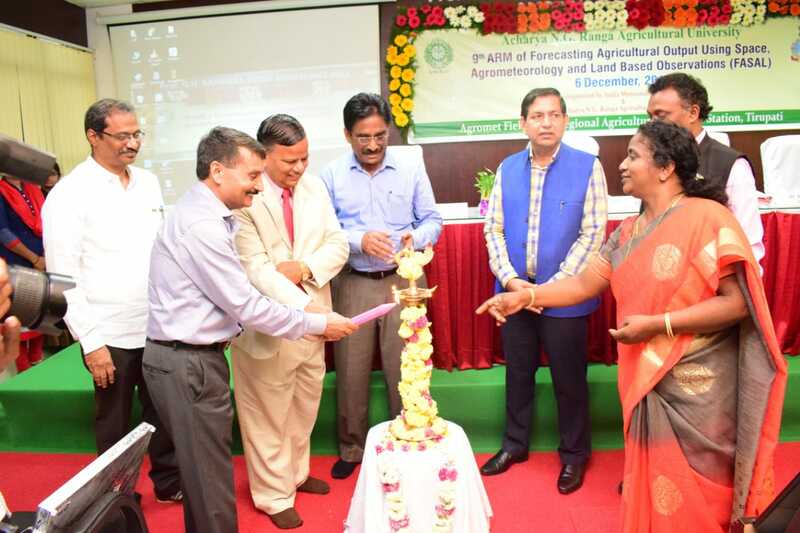 Deepa M ,Sudhakar P, Prasad TNVKV, Reddy KB, Naga Madhuri KV, Latha P (2015), Deepa M ,Sudhakar P, PRASAD TNVKV, Reddy KB, Naga Madhuri KV, Latha P, National conference on Emerging trends in Agri- nanotechnology(Agri Nano-2015) during 11-12 March 2015, Regional agricultural Research station, Tirupati. 13. Deepa M, Sudhakar P, Prasad TNVKV, Reddy KB, Nagamadhuri KV, Latha P. Effect of nano scale cao on m o bility, ph ysiological and biochem ical a ttribu tes and yield com ponents in groundnut (Arachis hypogeae l.)" National conference on “Emerging trends in Agrinanotechnology”(AgriNANO – 2015) 11-12 March 2015 [NAPP-19]. 14. Deepa M., P.Sudhakar, T. N. V. K. V. Prasad, K. V. Nagamadhuri and Y. Yohan. The effect of nano scale calcium oxide on growth and yield components in groundnut (arachis hypogaea l.). ISPP South Zonal seminar on Crop Physiology - “Emerging Challenges and Opportunities for Sustainable Agricultur” at SV Agricultural College, Tirupati, 3rd March, 2015e. Page no.178. 16. Dilip Reddy G, Anil Kumar C, Muralidhar Y, PRASAD TNVKV, Alpha rajM (2015), Public health risk assessment of heavy metals through milk and water: A quantitative survey in and around Proddatur region of Andhra Pradesh, National conference on Emerging trends in Agri- nanotechnology (Agri Nano-2015) during 11-12 March 2015, Regional agricultural Research station, Tirupati. 17. Fareeda G, Adam S, Nagalakshmi Devamma M, PRASAD TNVKV (2015), Purification Characterization and HPLC analysis of Amylase from Rice, National conference on Emerging trends in Agri- nanotechnology(Agri Nano-2015) during 11-12 March 2015, Regional agricultural Research station, Tirupati. 18. Govardhan G, Hariprasad Reddy K, Mohan Reddy D, Sudhakar Pand Bhaskara Reddy BV correlation studies between yield, yield attributes and drought tolerant traits in mungbean. National conference on “Emerging trends in Agrinanotechnology” (AgriNANO – 2015) 11-12 March 2015 [SAOP-23]. 19. Govardhan G., K. Hariprasad Reddy, D. Mohan Reddy, P. Sudhakar and B.V. Bhaskara Reddy. Evaluation of mungbean genotypes for drought tolerance. ISPP South Zonal seminar on Crop Physiology - “Emerging Challenges and Opportunities for Sustainable Agriculture” at SV Agricultural College, Tirupati, 3rd March, 2015.Pageno.153. 23. Latha P, P.Sudhakar, R.P. Vasanthi, K.Sujatha and T.Giridhara Krishna. Identification of of drought resistant and high yielding groundnut genotypes using WDR approach. National conference of plant physiology-2014 “Frontiers of Plant Physiology Research: Food Security and Environmental Challenges.” November 23-25, 2014. P.88. 25. Latha P, Sujatha K, Sudhakar P,Prasad TNVKV , Giridhar Krishna T. (2015), Effect of Nano based ferrous oxide particles on lutein and β-carotene contents in green leafy vegetables, National conference on Emerging trends in Agri- nanotechnology(Agri Nano-2015) during 11-12 March 2015, Regional agricultural Research station, Tirupati. 26. Latha, P, Vasanthi, R.P, Sujatha, K, Sudhakar, P and Giridhara Krishna, T. Identification of pre release groundnut genotypes for high physiological efficiency and yield to drought stress conditions.ISPP South Zonal Seminar on Physiological and Molecular Interventions for Improving Crop Productivity.Page no.92. 27. Madhan Mohan Reddy Ch, Sreedhar M, keshavulu K, PRASADTNVKV (2015), Impact of new seed bill on Indian agriculture, National conference on Emerging trends in Agri- nanotechnology(Agri Nano-2015) during 11-12 March 2015, Regional agricultural Research station, Tirupati. 28. Madhavi latha L., M. Subba Rao, P. Latha and P. Sudhakar. Evaluation of advanced finger millet entries for water use efficiency, drought tolerance and grain yield. ISPP South Zonal seminar on Crop Physiology - “Emerging Challenges and Opportunities for Sustainable Agriculture” at SV Agricultural College, Tirupati, 3rd March, 2015. Page no.144. 29. Manohar Rao V, Adilaxamamma K, alpha Raj M, Eswar Prasd ,T.N.V.K.V.Prasad, Dilip Reddy G (2014), Pharmacokinetics of nanosilver in murrah buffalo claves, International conference on frontiers in nano science, technology and applications 20-22 December, Dept of physics sri satya sai institute of higher learning, Prasanthi nilayam. 30. Murali G, Naga Madhuri KV, Reddy PVRM, Giridhar krishna T PRASAD TNVKV, (2015), Ecotoxicity of engineered nanoscale materials-An agricultural perspective, National conference on Emerging trends in Agri- nanotechnology(Agri Nano-2015) during 11-12 March 2015, Regional agricultural Research station, Tirupati. 32. Muralidar Yegireddy, alpha Raj M, T.N.V.K.V.Prasad, Adilaxamamma K, G srinivasarao, Ch srilatha (2014), Evaluation of therapeutic potential of nanosilver particles synthesized using 11-alpha-keto-beta-boswellic acid in experimwntal murine mastitis model, International conference on frontiers in nano science, technology and applications 20-22 December, Dept of physics sri satya sai institute of higher learning, Prasanthi nilayam. 33. Muralidhar Y, Alpharaj M, PRASAD TNVKV, Adilaxamma K, Srinivasa rao G, Ch Srilatha (2015), Phytochemical synthesized nanosilver particles using boswelia acid has potentiated anti bacterial activity in staphylococcus aureus induced murine mastitis, National conference on Emerging trends in Agri- nanotechnology(Agri Nano-2015) during 11-12 March 2015, Regional agricultural Research station, Tirupati. 35. Naga Madhuri KV, Reddy PVRM , Latha P, Prasad TNVKV, Sudhakar P, And Giridhara Krishna T. Synthesis of nano scale zinc oxide and its effect on germ in ation of paddy. National conference on “Emerging trends in Agrinanotechnology” (AgriNANO – 2015) 11-12 March 2015 [NAPP-24]. 36. Naga madhuri KV, Reddy PVRM, Latha P,PRASADTNVKV, Sudhakar P, Giridhar krishna T (2015), Synthesis of Nanoscale Zinc Oxide and its effect on germination of paddy, National conference on Emerging trends in Agri- nanotechnology(Agri Nano-2015) during 11-12 March 2015, Regional agricultural Research station, Tirupati. 37. Nagalakshmi Devamma M, Durga prameela G, PRASADTNVKV (2015), Synthesis of silver nanoparticles using the medicinally important leaf extracts of Tribulus terrestris and Enicostema axillare and evaluation of their antimicrobial activity, National conference on Emerging trends in Agri- nanotechnology(Agri Nano-2015) during 11-12 March 2015, Regional agricultural Research station, Tirupati. 38. Naseeruddin R, Prasad TNVKV ,Sumathi V (2015), Role of nanotechnology in sustainable agriculture, National conference on Emerging trends in Agri- nanotechnology(Agri Nano-2015) during 11-12 March 2015, Regional agricultural Research station, Tirupati. 39. Paramesh M, Mohan Reddy D, Shanthi Priya M, Sudhakar P and Reddy Graphic analysis of yield and drought trait relations of greengram by using genotype bytrait (gt) biplot. National conference on “Emerging trends in Agrinanotechnology” (AgriNANO – 2015) 11-12 March 2015 [SAPP-5]. 40. Paramesh M., D.M. Reddy, M. Shanthi Priya, P. Sudhakar and K.H.P. Reddy. Genotype by trait (gt) biplot: a novel approach for simultaneous selection of traits and genotypes for breeding high yield and drought tolerance in mungbean (vigna radiata l. wilczek). ISPP South Zonal seminar on Crop Physiology - “Emerging Challenges and Opportunities for Sustainable Agriculture” at SV Agricultural College, Tirupati, 3rd March, 2015.Pageno.175. 41. Prasad T.N.V.K.V (2014), Agri-nanotechnology: applications of nanotechnology in agriculture and allied sciences, International conference on frontiers in nano science, technology and applications 20-22 December, Dept of physics sri satya sai institute of higher learning, Prasanthi nilayam. 42. Prasad T.N.V.K.V., L.V.Subbaiah, T.Giridhara Krishna.Effect of nanoscale zinc oxide particles on the productivity and quality of maize. 12th Asian Maize Conference, 30th Oct-1st Nov, 2014, Bangkok, Thailand. 44. Prasad TNVKV, Reddy PVRM, Naga madhuri KV, Giridhara krishna T. (2015), Extraction of natural Nanoscale clay particles from Red soils and their characterization, National conference on Emerging trends in Agri- nanotechnology(Agri Nano-2015) during 11-12 March 2015, Regional agricultural Research station, Tirupati. 46. Prathima T, PRASAD TNVKV,Devaki K, Shobha rani P (2015), Leaf extract mediated synthesis of silver nanoparticles: Novel approach towards weed utilization, National conference on Emerging trends in Agri- nanotechnology(Agri Nano-2015) during 11-12 March 2015, Regional agricultural Research station, Tirupati. 48. Rajitha B., P.Latha, V.Umamahesh, P.Sudhakar And K.Sujatha Amelioration of seedling vigour in groundnut by seed hardening chemical treatment. ISPP South Zonal seminar on Crop Physiology - “Emerging Challenges and Opportunities for Sustainable Agriculture” at SV Agricultural College, Tirupati, 3rd March, 2015. Page no.115-116. 50. Ramakrishna Rao, A, K, Raja Reddy, T.Muralikrishna, P.Sudhakar, K.Devaki and T.GiridharaKrishna. Screening of certain genotypes against thrips in groundnut. National conference on “Emerging trends in Agrinanotechnology” (AgriNANO – 2015) 11-12 March 2015 [SAPP-25]. 51. Ravi babu G, Srilatha Ch, Srinivasulu D, Adilaxmamma K, PRASAD TNVKV. Alpharaj M, (2015), Evaluation of ameliorating effect of phytogenic nanosilver in aflatoxicosis in broilers, National conference on Emerging trends in Agri- nanotechnology(Agri Nano-2015) during 11-12 March 2015, Regional agricultural Research station, Tirupati. 52. Ravi S, Subba Rao M, Reddi Sekhar M, Sudhakar P and Madhavi Latha L. Genetic divergence studies for yield and physiological traits in bajra. National conference on “Emerging trends in Agrinanotechnology” (AgriNANO – 2015) 11-12 March 2015 [SAOP-11]. 53. Ravi S., M. Subba Rao, M. Reddi Sekhar, P. Sudhakar. Screening of thermotolerant pearl millet genotypes at seedling stage using temperature induction response (tir) technique. ISPP South Zonal seminar on Crop Physiology - “Emerging Challenges and Opportunities for Sustainable Agriculture”at SV Agricultural College, Tirupati, 3rd March, 2015.Pageno.161. 54. 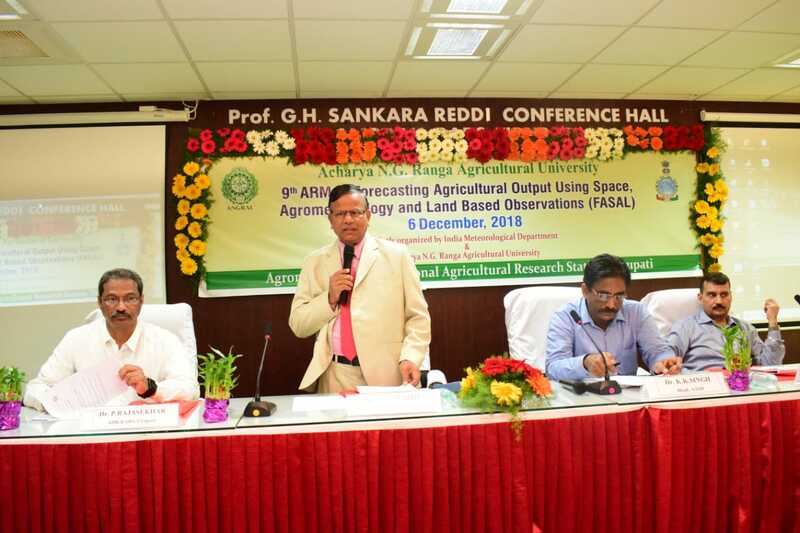 Reddy PVRM, Naga Madhuri KV, Kumar KV, PRASAD TNVKV, Giridhar krishna T (2015), Preparation of soil nutrient status thematic maps of nandyal mandal of kurnool district by geographic information system, National conference on Emerging trends in Agri- nanotechnology(Agri Nano-2015) during 11-12 March 2015, Regional agricultural Research station, Tirupati. 56. Reshma A., P Latha, V.Umamahesh and RP Vasanthi. Identification of high water use efficiency and high pod yield groundnut genotypes for early kharif. ISPP South Zonal Seminar on Physiological and Molecular Interventions for Improving Crop Productivity.Page no.111. 57. Reshma A., P. Latha, V. Umamahesh, R.P. Vasanthi and P. Sudhakar. Phenotyping prerelease groundnut genotypes for high physiological efficiency during early kharif. . ISPP South Zonal seminar on Crop Physiology - “Emerging Challenges and Opportunities for Sustainable Agriculture” at SV Agricultural College, Tirupati, 3rd March, 2015. Page no.107 -108. 58. Reshma A., P. Latha, V. Umamahesh, R.P. Vasanthi and P. Sudhakar. Phenotyping prerelease groundnut genotypes for high physiological efficiency during early kharif. . ISPP South Zonal seminar on Crop Physiology - “Emerging Challenges and Opportunities for Sustainable Agriculture” at SV Agricultural College, Tirupati, 3rd March, 2015. Page no.107 -108. 59. Satish GC, Prasad TNVKV, Bharathi K, Shruthi TS,Mazhar jamil, Ganesh murthyAN (2015), Impact of Nano ZnO spray in influencing the growth and Biomass production of Brassica crops, National conference on Emerging trends in Agri- nanotechnology(Agri Nano-2015) during 11-12 March 2015, Regional agricultural Research station, Tirupati. 60. Sindhura K, Prasad TNVKV, Paneer selvam P, Hussain OM. (2015), Phytogenic synthesis of zinc nanoparticles from leaves extracts and influence on soil Exo-enzyme activity and growth of Peanut plants, National conference on Emerging trends in Agri- nanotechnology(Agri Nano-2015) during 11-12 March 2015, Regional agricultural Research station, Tirupati. 61. Siva Manohar Rao V, Adilaxmamma K, Alpharaj M, Eswara Prasad P, PRASAD TNVKV, Dilip Reddy G (2015), Intravenous administration alone results in Bioavailability of nanosilver: A pharmacokinetics study in murrah Buffaloes, National conference on Emerging trends in Agri- nanotechnology(Agri Nano-2015) during 11-12 March 2015, Regional agricultural Research station, Tirupati. 62. Sreevani P, Adilaxamamma K, alpha Raj M, Eswar Prasd , T.N.V.K.V.Prasad (2014), Comparative evaluation of wound healing activity of citrate and cinnamomum vera extract medicated nanosilver in rats., International conference on frontiers in nano science, technology and applications 20-22 December, Dept of physics sri satya sai institute of higher learning, Prasanthi nilayam. 63. Sreevani P, Adilaxmamma K, Alpharaj M, Eswara Prasad P, PRASAD TNVKV. (2015), Comparative evaluation of wound healing activities of citrate and Cinnamomum vera extract mediated Nano silver in rats, National conference on Emerging trends in Agri- nanotechnology(Agri Nano-2015) during 11-12 March 2015, Regional agricultural Research station, Tirupati. 64. Sudhakar P, Prasad TNVKV, latha P, Giridhara krishna T, Raja Reddy K (2015), Evidence based impact of Nano scale micronutrients on crop growth, National conference on Emerging trends in Agri- nanotechnology(Agri Nano-2015) during 11-12 March 2015, Regional agricultural Research station, Tirupati. 66. Sujatha K, Latha P, Sudhakar P, Prasad T N V K V and Giridhara Krishna T. Effect of nano sized calcium oxide on calcium uptake, kernelquality and yield in groundnut crop. National conference on “Emerging trends in Agrinanotechnology” (AgriNANO – 2015) 11-12 March 2015 [NAPP-16]. 67. Sujatha K, Latha P, Sudhakar P, Prasad TNVKV, Giridhar krishna T.(2015), Effect of Nano sized Calcium oxide on Calcium uptake, Kernel quality and yield in Ground nut crop, National conference on Emerging trends in Agri- nanotechnology(Agri Nano-2015) during 11-12 March 2015, Regional agricultural Research station, Tirupati. 68. Vasanthi R.P, Y.Amaravathi, P.Sudhakar, P.Latha , E.Siva kumar, P.Jhansi Rani, M.Purushotham , G.Kiran Jyothi and T.Giridharakrishna (2015) Identificationand pyramiding of genes for drought resistance , yield and yieldattributes in advanced breeding lines of groundnut1stNational Conference on Agronanotechnology11-12, March,2015. 69. Vasanthi RP, Amaravathi Y, Sudhakar P, Latha P, Siva kumar E, Jhansi Rani P, Purushotham M, Kiran Jyothi G and Giridharakrishna T. Identification and pyramiding of genes for drought resistance , yield and yield attributes in advanced breeding lines of groundnut. National conference on “Emerging trends in Agrinanotechnology” (AgriNANO – 2015) 11-12 March 2015 [SAOP-17]. 70. Vasanthi RP, P Sudhakar, P Latha, G Bharat Kumar, M Purushottam And T Giridhara Krishna. Variability among advanced breeding lines for yield and the traits involved in drought resistance in groundnut(arachis hypogaea.l). ISPP South Zonal seminar on Crop Physiology -“Emerging Challenges and Opportunities for Sustainable Agriculture” at SV Agricultural College, Tirupati, 3rd March, 2015. Pageno.157. 72. Vineela V., K.Balakrishna Reddy, K.Sujatha, And P.Sudhakar. Influence of waterlogging on growth and yield of greengram. ISPP South Zonal seminar on Crop Physiology - “Emerging Challenges and Opportunities for Sustainable Agriculture” at SV Agricultural College, Tirupati, 3rd March, 2015. Page no.142. 73. Vipranarayana S, PRASAD TNVKV, Madhavi V, Damodharam T (2015), Green synthesis of silver nanoparticles using Pimpinella tirupatiensis Bal and subr and their anti-Microbial activities, National conference on Emerging trends in Agri- nanotechnology(Agri Nano-2015) during 11-12 March 2015, Regional agricultural Research station, Tirupati. 74. Yohan Y, Umamahesh V, Sudhakar P and Reddi Ramu Y Influence of waterlogging on cetain biochemical and yield parameters of pigeonpea(cajanus cajan (l.) millsp). National conference on “Emerging trends in Agrinanotechnology” (AgriNANO – 2015) 11-12 March 2015 [SAPP-6]. 75. Yohan Y., V. Umamahesh, P. Sudhakar And Y. Reddiramu. Effect of water logging on certain physiological and biochemical charcters of pigeon pea (cajanus cajan (l.) MILLSP). ISPP South Zonal seminar on Crop Physiology - “Emerging Challenges and Opportunities for Sustainable Agriculture” at SV Agricultural College, Tirupati, 3rd March, 2015. Page no.141-142.